You’re so very welcome! Thanks for the share! It is worth the sign – up! I only can recommend it! Shannon, I took you up on your offer! I like the book, nice series of photos. You are right CT is not on my list of states to visits, but you make a convincing argument. I look forward to you newsletters. Haha I have chapstick on me at all times! We were talking about a trip out west…my boyfriend loves Sedona but I’m pretty keen on seeing NM myself. But we are doing Italy in a few weeks, so I will need some time to budget for the west after that. Haha I will definitely keep you in mind for hints and tips tho! Where in Italy? We’ve been all over central Italy. Milan is pretty far north. Most anything in Italy is worth seeing. Are you renting a car? Parma, Bologna and Ravenna are cool, and Florence is wonderful. I found Pisa to be a bit disappointing, but the tower was really close to falling over when we were there in 1997 and we couldn’t get near it. They finally stabilized it, and a couple of our architects who were in Pisa recently said it’s really fun to visit now. If you have the time to make it to florence, it’s really worth it. Ravenna has really great mosaics if you are into mosaics, but it’s a difficult city to drive in. A lotto the small, villages are really fun to explore as well. No car rental. I’ve been to Europe a few tomes now…enough to know I have desire to drive there. Lol We plan on using the trains mostly. I will look into how do-able Florence is though! Thank you so much! As long as you are 25 or alder, be a strong, brave, adventurous woman and drive! It’s really not that bad to drive in Europe, and it gives you so much more freedom than the trains, and usually they have great deals on rental cars, so even with the price of gas, a rental car is not much more than the trains. I’ve driven in Madrid, Florence, Marseille and Rome and survived. I also drove from Madrid to central Italy across Southern France and back to Madrid. I’ve driven all over western and northern Spain, and in 2013, we rented a car in Provence, France and drove all over southern France. With a car you can get to all the interesting places: villages, castles, cathedrals, and landscapes you will miss taking a train. Since you are photographers, you especially want to get out away from the normal tourist fare, and a car makes it easy. Believe me, you will not regret renting a car. Lol well when you put it that way, I guess we should consider it! Absolutely! 🙂 Seriously, as photographers you really need the freedom to explore. One time while exploring Extremadura in western Spain, we were out in the middle of nowhere. We found a tiny village with a pensione (bed and breakfast) to stay the night. There was an old castle at the village and our hosts asked if we were going to the concert in the castle. We said now that you mentioned it yes. A chorale and orchestra for Paraguay had been booked to perform in the castle as part of a Spanish cultural exchange. The setting and the concert were both fantastic. We never would have experienced that riding trains, because there were not tracks anywhere near that little village. We also saw a concert by Celia Cruz and Oscar De Leon in a castle in northern Spain. Another once in a lifetime experience because we were exploring northern Spain in a rental car. I could go on an on with stories from driving around Spain, Italy and France, but I’ll spare you. Thanks so much! Its been a fun project to work on, and a good learning experience for some stuff we have in the works. Hard to pass up a free eBook with photos! Now I just need to wait until I get home from work to view it. They don’t give me access to my email from work. I wouldn’t mind creating an eBook. I just need to have enough photos to talk about the different topics I would want in there. Plus the time to create one. Since many of my posts http://www.TPJphoto.net is also Connecticut I had to see your book. Look forward to getting it. Thanks. Thank you for this offer. I will be downloading it once I get back to my own home computer. Nice work Shannon. Proud of you. Impressive. Connecticut tourism has spent far more and has nothing to compare with this. Nicely done. Shannon put together a free ebook for you guys. Hi Shannon. Just saw your interview on Edith Levy’s blog (Edith and I have followed one another for years). After taking a look at your galleries, I am quite impressed with your work. 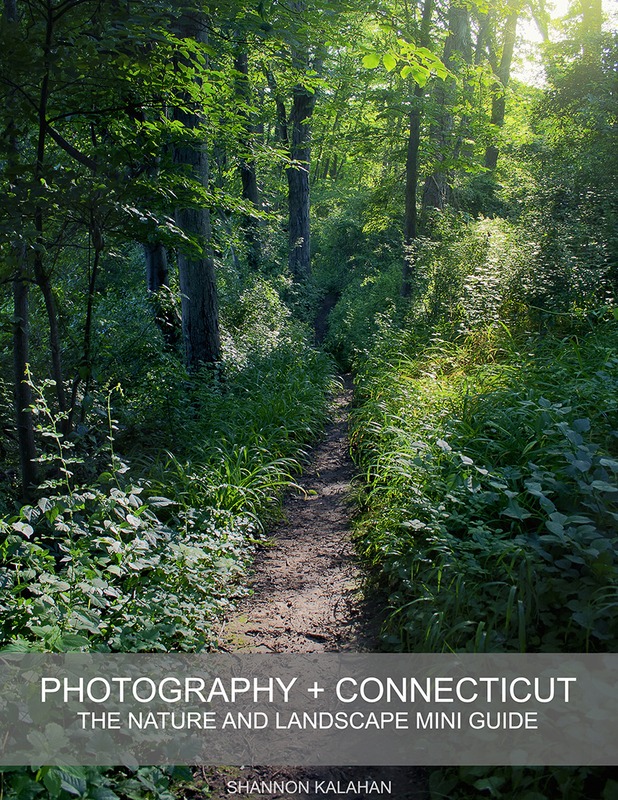 It is nice to see another CT photographer travel and capture not only the local scenes but also the rest of the world. Maybe our paths will cross sometime (maybe at the airport). haha I do find myself at the airport an awful lot. I’m sitting on some Italy photos at the moment from a few weeks ago, as a matter of fact. 🙂 Thanks so much for the kind words. We should chat “CT photos” sometime. I always love hearing about other people’s adventures and favorite spots. I would love to chat CT but my guess is you would be disappointed. I don’t shoot much here although I am not sure why. Maybe I ought to read your eBook on CT. That being said, I do have a few favorite spots. lol Well, then we can chat photography in general. 🙂 From your G+, looks like you travel quite a bit and I am always interested in hearing about that!